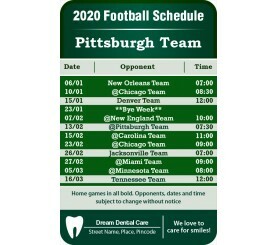 Custom 3.5 x 2.25 inch one team Pittsburgh Team football schedule laminated dental care wallet magnets are being preferred for promotions by dental services in this season. As they understand that sports is the only medium, which will introduce them to bigger legion of prospected customers. 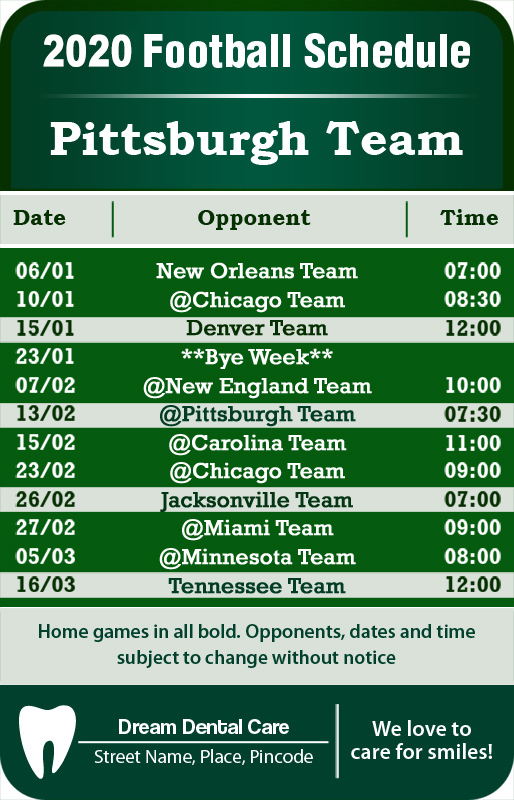 Pittsburgh Team football schedule laminated dental care wallet magnets will visually ease anxieties of viewers and stir their team spirits. It will transform the surface, where it is affixed.